Despite our best intentions, obtaining the right balance of foods at every meal─even every day─can be challenging, especially with busy schedules and varying family tastes. Did your last meal include complete protein, healthy fats and whole, unprocessed carbohydrates? Along with lean protein, fresh produce is a second pillar of a high-quality diet, especially nutrient-dense greens─which play all too small a part in the traditional Western menu. Healthy fats are the third pillar. For many Americans, however, saturated and trans fats take center stage instead. So, why are these three nutritional pillars so vital for optimal health? In a nutshell, healthy protein, fats and carbohydrates work together to provide complete nutrition for optimal health. How do they operate in synergy? Carbohydrates provide glucose which is critical in fueling your brain and body. Along with helping to build bones, muscles, cartilage, skin and blood, protein also works in tandem with fats to help metabolize carbs efficiently, ensuring a gradual release of glucose into your body. If, however, you eat carbs without the protein and fats─breakfasting on a bagel or pastry, for example─you set yourself up for a quick sugar rush followed by an inevitable crash. This crash does more than drain your energy. It also sets you up for weight gain in two ways. First off, when your blood sugar dips, leaving you feeling hungry and sluggish, you’re more likely to reach for sugar for quick "energy". Then, adding insult to injury, the crash dramatically slows your metabolism, putting you into “emergency starvation mode” which is why you feel light headed and fatigued. As a result, those extra calories you’re likely to consume tend to be stored as fat to guard against future low blood sugar crashes. Do you see how this can become a vicious cycle? Sadly, it’s a common daily pattern for many Americans. 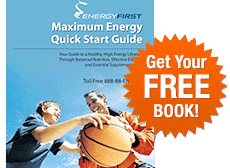 So, how do you break this cycle to regain your natural energy, lose extra pounds, and improve your overall health? The key, again, is how you manage your meals. This brings us back to the challenge many of us face. Hectic lives don’t always lend to carefully crafted meals that include the right balance of fats, protein and whole, unprocessed carbs─not to mention plenty of green vegetables. Busy, health conscious people need effective solutions. So, what if you could rely on at least one meal a day─breakfast─to set you up properly with complete protein, healthy fats, and the equivalent of multiple servings of nutritious veggies/fruits? Would you not be better prepared for your day and far less likely to grab unhealthy foods later, given the balanced blood sugar levels resulting from this ideal morning meal? This balanced breakfast can literally break that onerous, vicious cycle we discussed─keeping you going long and strong─and boost your odds for a healthy lunch and dinner. 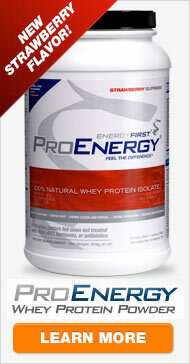 The whey protein component offers 20-40 grams of pristine, low calorie, complete protein. The Omega Oil Blend provides healthy fats to boost your metabolism and help absorb the many nutrients this shake offers. The Greenergy green drink powder crowns it all with the equivalent of 5 servings of green vegetables along with spirulina, barley grass, wheatgrass, green tea extract, and other concentrated green superfoods plus potent antioxidants and phyto-nutrients. Again, just because you’re on the go, you don’t have to shortchange your health. Nourishing your body with the right foods and nutrients is essential to achieving vibrant wellness, enabling you to live a happy and energized life. What a great example to set your children! Launching your day with a natural whey protein shake provides an ideal nutritional foundation for optimal health and energy, stimulates your metabolism, and fuels your brain enabling you to think, learn, work, and create efficiently. This shake is also perfect for lunch, a snack, as a post-workout recovery drink, or any time you are too busy to prepare a full meal. You can also add natural flavors to taste, such as vanilla, peppermint, or almond extracts, or cinnamon, allspice, nutmeg, and ginger. This recipe makes a 32-ounce shake. Drink the full shake for a complete meal, or half for a smaller meal or snack. Kids love them too. As you explore your daily challenges─whether they include raising happy, healthy children, an exciting career, recovery from illness, or running a marathon─avail yourself of this important nutritional edge. Make at least one daily meal a true power meal, and observe the difference it makes. You deserve it!